For permanent stability to support the Mount Cotton Road in South East Queensland, embankment stability measures were designed for an approximately 130m long slope, up to 4m in height with maximum slope angles of 50°. 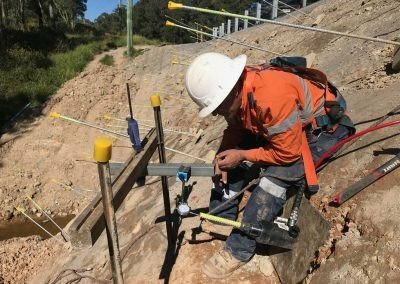 Platipus Percussion Driven Earth Anchors (PDEA®) were chosen as the preferred solution. 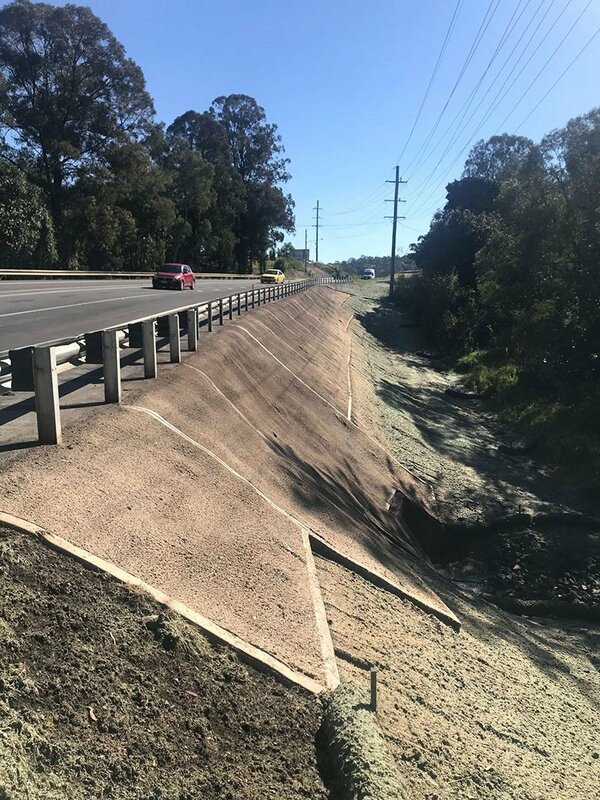 The final embankment finish, to provide stability and erosion control, consisted of shotcrete at the higher level and geosynthetic matting at the lower level to help encourage long term vegetation establishment. 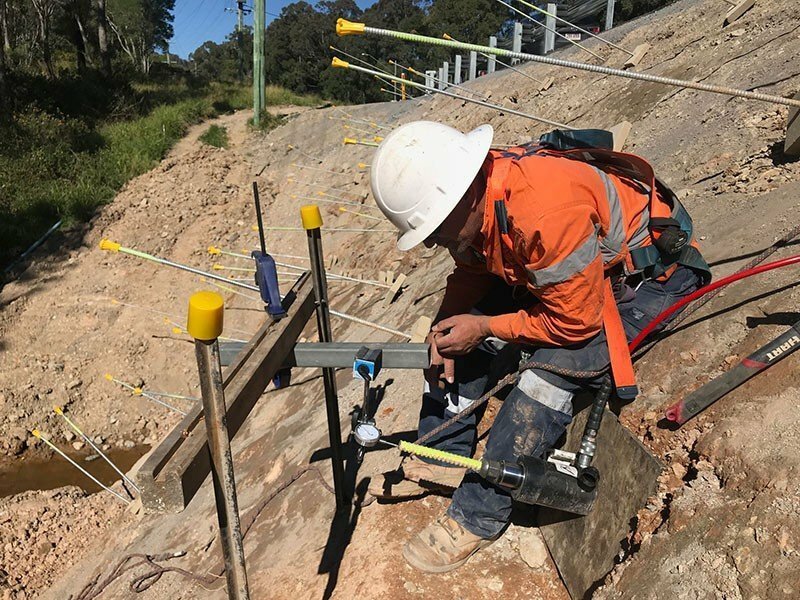 Stringent on-site Australian Standard testing was carried out in accordance with MRTS03, before the PDEA® installation commenced. 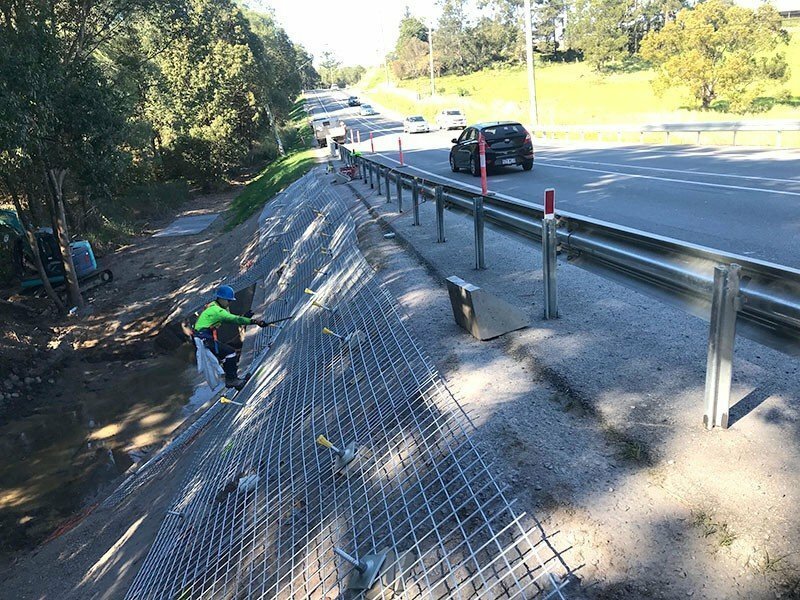 Over the course of 9 working days the contractor installed and tested nearly 200 Platipus B4 and B6 PDEA® Systems to a maximum depth of 8m into the embankment slope. Each anchor system was loadlocked and proof tested to loads ranging from 20 – 33kN. The final ‘lock off’ or ‘active’ Working (Design) Loads were 50% of the Proof Loads. 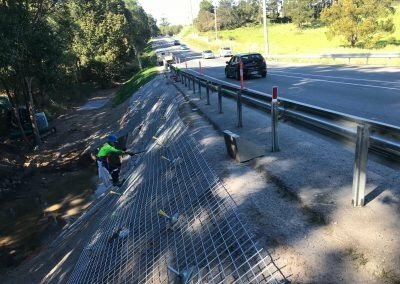 For the shotcrete face the contractor implemented a ‘smart’ reinforcement spacing option using small cost-effective concrete paving slabs. 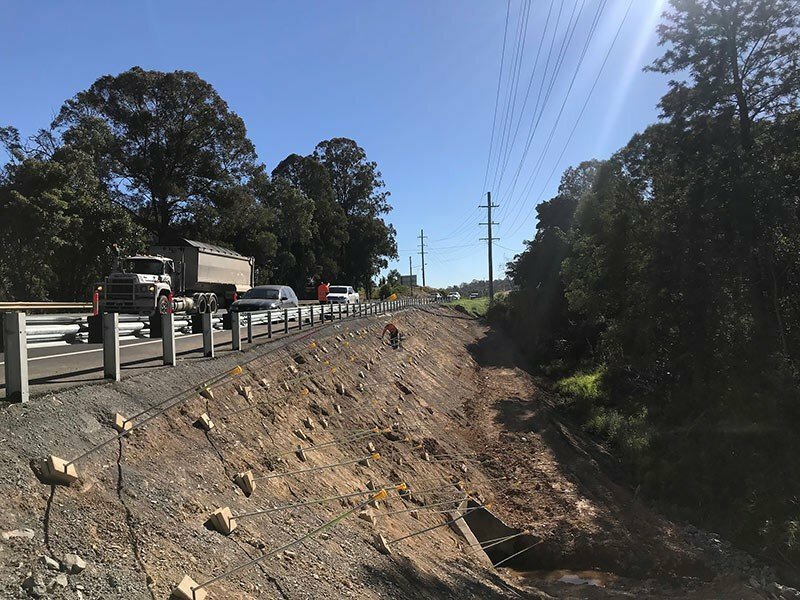 The speed and ease of installation was a major driving force for implementing the Platipus PDEA® Systems for permanent stability of this road embankment.